Orencia (abatacept) is a biologic drug approved for the treatment of moderate to severe rheumatoid arthritis. It is also used to treat psoriatic arthritis and moderate to severe juvenile idiopathic arthritis. Orencia is not a TNF blocker like Enbrel (etanercept ) or Humira (adalimumab) in which an inflammatory protein called tumor necrosis factor (TNF) is suppressed. Instead, Orencia works by blocking the chemical signals that trigger the autoimmune assault. 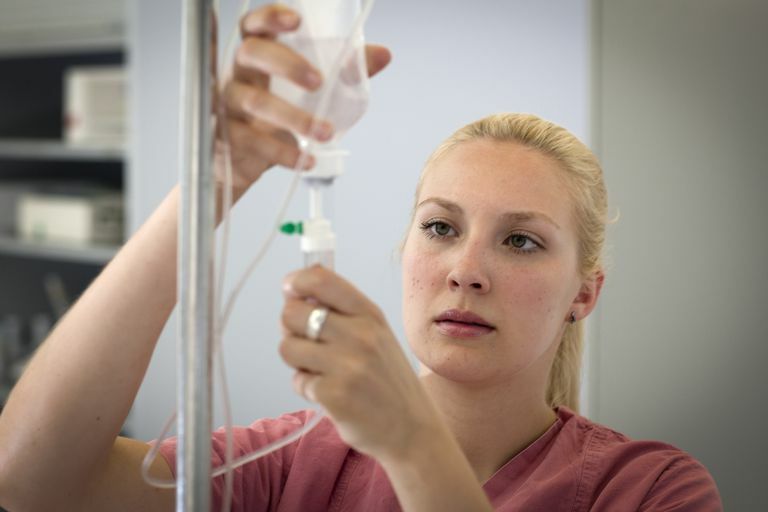 Orencia can be delivered in a 30-minute intravenous (IV) infusion every four weeks after an initial loading dose (first dose, the second dose at two weeks, and doses every four weeks thereafter). Orencia is also available in a subcutaneous formulation which allows people to give themselves a shot in either the thigh, abdomen or upper arm. Treatment often begins with an IV loading dose followed by a subcutaneous shot a day later. The injections are then self-administered weekly. Orencia is often used in people with moderate to severe rheumatoid arthritis who have not responded to one or more disease-modifying antirheumatic drugs (DMARDs) such as methotrexate or other biologics such as Enbrel or Humira. Abatacept may be used alone or in combination with DMARDs, which makes it more potent, but not with other biologic drugs. Orencia can be considered for first-line therapy in persons with early active rheumatoid arthritis. The biologic drugs used to treat rheumatoid arthritis aim to prevent the immune system from attacking its own tissue, specifically those of the joint. To do this, the drugs need to shut down facets of the immune response. In doing so, it leaves the body open to infections it could otherwise fight. The most common of these include respiratory tract infections (including pneumonia), septic arthritis, skin and soft tissue infections, and urinary tract infections. However, a number of studies have shown that Orencia is associated with a far lower risk of serious infection and hospitalization when compared to Enbrel, Rituxan (rituximab), and Actemra (tocilizumab). Chief among the concerns is the risk of tuberculosis (TB), primarily the reactivation of the TB in persons previously infected. Research suggests that persons exposed to Orencia have as much as a four-fold increase in the risk of such reactivation. Before starting treatment, people must be screened for TB. Persons with an active TB infection must be successfully treated before any biologic drug can be used. Live attenuated vaccines are those that contain live, weakened viruses (as opposed to inactivated vaccines which used "killed" viruses). In clinical trials, people with chronic obstructive pulmonary disease (COPD) experienced a higher rate of COPD exacerbations while on Orencia, including a persistent cough, shortness of breath, and wheezing. For this reason, Orencia should be used with caution in people with COPD, weighing the benefits against the possible consequences. Moreover, greater care should be given to monitoring individuals with COPD in the event respiratory symptoms worsen. In such case, treatment may need to be stopped. De Keyser, F. "Choice of Biologic Therapy for Patients with Rheumatoid Arthritis: The Infection Perspective." Curr Rheumatol Rev. 2011; 7(1):77–87. DOI: 10.2174/157339711794474620. Yun, F.; Xie, F.; Delzell, E. et al. "Comparative Risk of Hospitalized Infection Associated With Biologic Agents in Rheumatoid Arthritis Patients Enrolled in Medicare." Arthritis & Rheumatology. 2015; 68:56-66. DOI: 10.1002/art.39399.